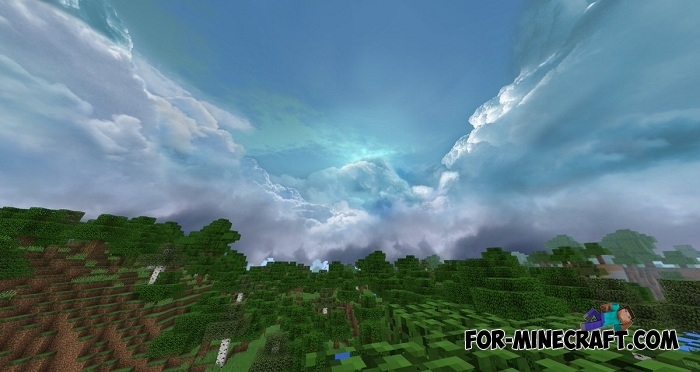 No texture or shader pack can compare with this, because Cloudy Skybox adds real clouds instead of cubic ones. 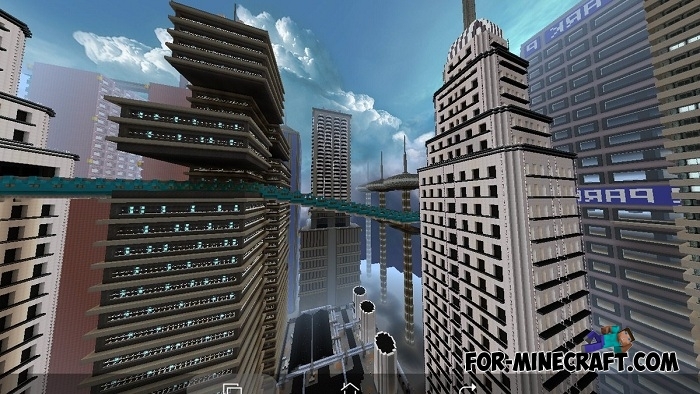 It looks a hundred times better if you want to achieve a realistic nature and see a beautiful and bright sky. 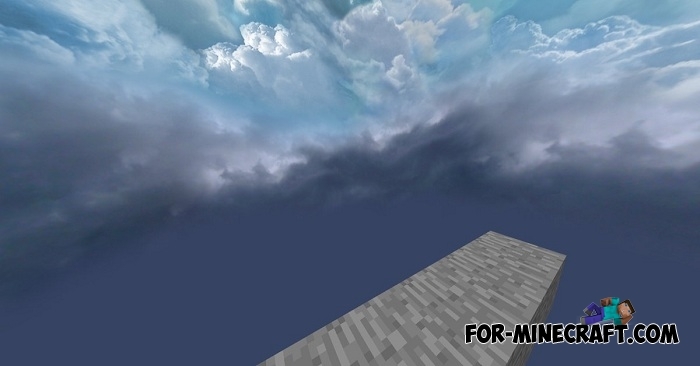 Textures are of very high quality and if you raise your head up while on the ground you will be surprised. 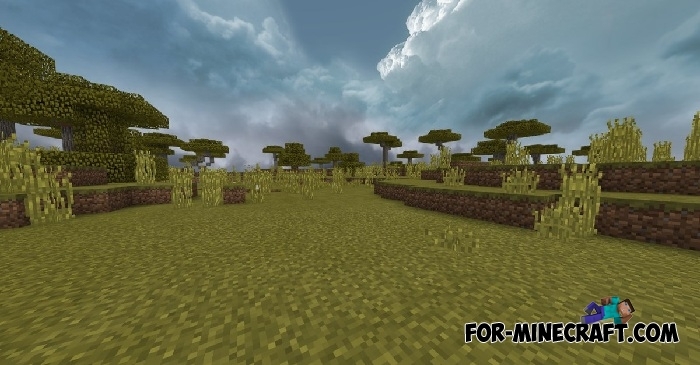 Surely, soon other similar textures will appear that are automatically included in realistic shaders. 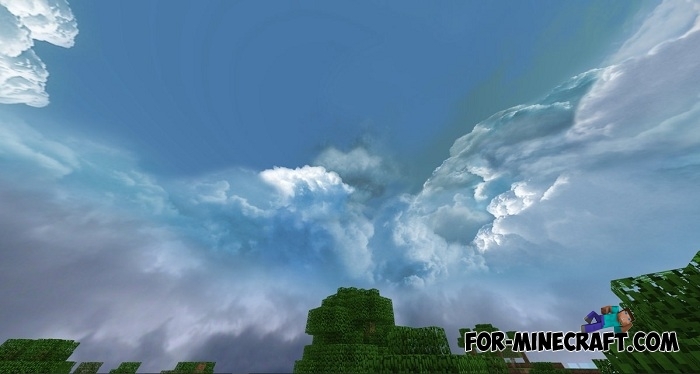 In the meantime, you can enjoy the unique sky, the best realistic clouds in Minecraft PE. 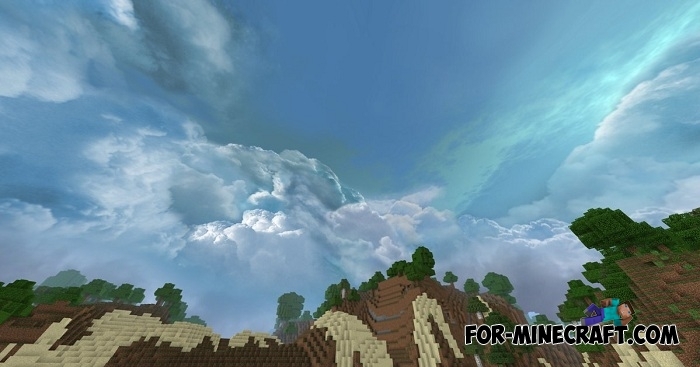 How to install the Cloudy Skybox pack?